Scott Samuel Braun, commonly known as Scooter Braun, is a famous American music video director, as well as a talent manager. To the public, Scooter Braun is perhaps best known as the representative of the popular singer Justin Bieber. Over the years, Braun had had an opportunity to work with such artists as Usher, Ariana Grande, Carly Rae Jepsen, Cody Simpson and Asher Roth to name a few. Braun is also known as an owner of a record label called “Raymond Braun Media Group”, often shortened to “RBMG”, which serves as a joint project with Usher. Established in 2008, the company rose to prominence when they signed Justin Bieber to their label. More recently, “RBMG” gathered public attention after signing contracts with G-Dragon and Psy. In addition to “RBMG”, Scooter Braun is also an owner of another record label called “School Boy Records”, which he founded in 2007. Ever since its establishment, “School Boy Records” has worked with numerous other companies, including “RBMG”, “SB Consulting” and “Universal Music Group”. Currently, the record label has Cody Simpson, Justin Bieber, Tori Kelly, “The Wanted” and Amber Riley under its roof. Braun’s company is now distributed by “Republic Records” in the United States, and “Universal Music Group” in the United Kingdom. A well-known talent manager, how rich is Scooter Braun? According to sources, Scooter Braun’s net worth is estimated to be $40 million, most of which he accumulated due to his involvement in the music industry. One of Braun’s most valuable assets is a mansion in Hollywood Hills, which cost him $5.7 million. 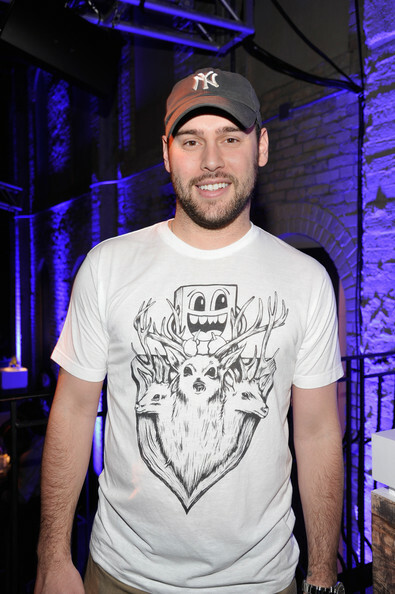 Scooter Braun was born in 1981 in New York City, United States. Braun attended Greenwich High School, where he participated in a competition for “National History Day”. Braun presented a film called “The Hungarian Conflict”, which reflected the lives of Jews living in Hungary prior to, as well as after World War II. Braun’s piece went on to win in various local competitions, and was even praised by Steven Spielberg, which was a very important moment in Scooter Braun’s career. While he was still a student, Braun joined forces with Jermaine Dupri and his “So So Def Records” label, where he began organizing parties for various events. Braun rose to prominence after his discovery of Justin Bieber, whom he introduced to Usher and Justin Timberlake. Bieber’s international success brought a lot of attention towards Braun himself. In 2007, he launched an entertainment company called “Scooter Braun Projects LLC”, simply referred to as “SB Projects”. The company includes Braun’s “RBMG” record label and “School Boy Records” aside from other companies. Braun’s overall popularity resulted in his many appearances in various magazines, the most famous being “Billboard” music magazine. Braun appeared on the cover of “Billboard” in 2012 for the first time, and was featured on the cover again in 2013. Aside from that, Scooter Braun was ranked in a list of most influential people called “Time 100”. A well-known talent manager and a video music director, Scooter Braun has an estimated net worth of $40 million. 1 Discovered Justin Bieber, Psy, Ariana Grande. 2 Manager for Justin Bieber. Justin Bieber: Purpose (Purpose: The Movement) 2015 Video short writer: "Purpose"